With so many shampoos and conditioners out there, how do you know which one to choose? Your hair is damaged, so you want shine, but you also want strength. It also has to protect your hair color that you just got done. So many things for one little bottle to do! If you are anything like me, you have a hair routine that involves trying out new shampoo and conditioners weekly. Why not try using a shampoo and conditioner system that targets multiple hair issues at one time to lessen your haircare routine? 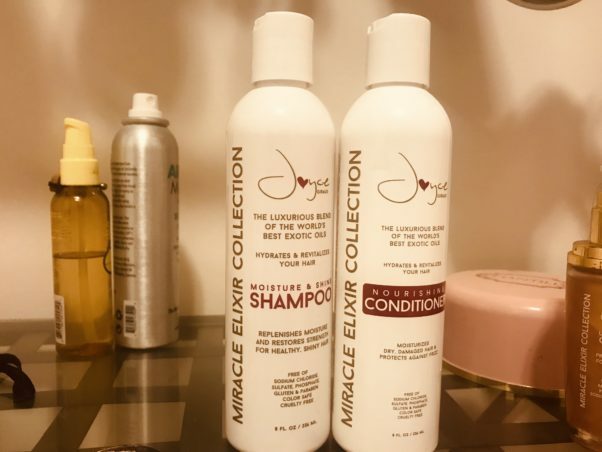 I was sent the Joyce Giraud Miracle Elixir Collection, and I am all for this haircare line. Honestly, this collection has brought my haircare routine down to only a couple of products versus about 10 that I was using because I felt I needed them for my chemically processed, very brittle hair. First of all Giraud is a Puerto Rican woman who has done it all from pageants to modeling to being an actress to a reality TV star on the Real Housewives of Beverly Hills. This is a woman who has to have great looking hair at all times. So you can have confidence that this isn’t some sham haircare line — the stuff actually works. I used to use a gentle cleansing shampoo, then a moisturizing shampoo, followed by a daily conditioner. After conditioning, I used a deep conditioner and left that in while I was shaving to let it take affect on my poor, thirsty strands. When I was done I then used a leave-in dentangler spray to comb my hair, and finally I would use a shine serum to make my hair shine and look fresh. 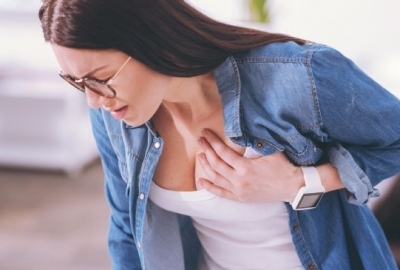 Can you imagine how patient my boyfriend is to wait for me just to shower to get ready for a date? Then one day along came Giruad’s Miracle Elixir Collection, and my life got a little better. First, the entire collection smells really good. The shampoo has a citrus scent that also gives your scalp that invigorating feeling. The hair issues it treats include dullness, dry scalp and brittle strands while being safe for color-treated hair. Obviously it also cleanses while being free of sulfates. This shampoo is great because it lathers a lot, so it cleans even without sodium chloride or sulfates. Then it easily washes out, so there is no lingering shampoo weighing your hair down. The conditioner has a tropical scent of coconuts. The conditioner treats dry hair, knotty hair and hair dullness. You are supposed to leave it on for 2 minutes so that it provides deep conditioning benefits as well. This conditioner also wasn’t heavy and didn’t weigh my hair down. As it was in my hair, I can say my hair got stronger and very thick. My thin strands also got a lot of volume in them almost instantly. So for someone with thinning hair, I was really shocked and also really happy. 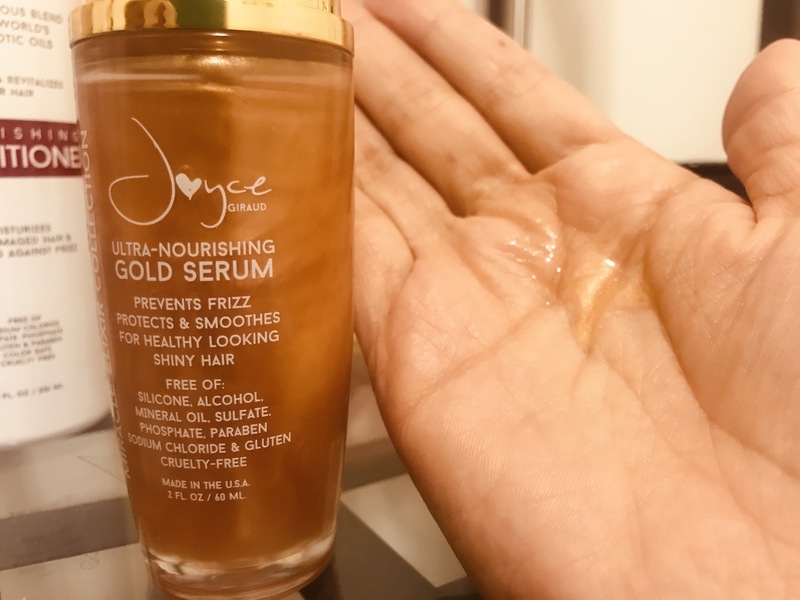 When I got out of the shower, I applied the collection’s Ultra Nourishing Gold Serum, which protects hair from heat styling, adds shine and games frizz. I didn’t have to use my leave-in detangler spray. The serum has more of a sweet cotton candy scent, which I am a big fan of. I don’t like clean smelling hair products, I would rather have a fruity smelling head of hair to leave greats whiffs of scent when I walk by since my hair is very long. With this set I was able to cut out my deep conditioner and my leave-in detangler spray along with a heat protectant spray that I used when I would blow dry my hair out twice a week. But the most important thing for me is the hair strengthening it provides after just one use. My hair is thick and not brittle any more. I am still amazed. Giruad touts these products as “the luxurious blend of the world’s best exotic oils,” and I believe she truly did this since anyone who knows me knows I use every product under the sun, but for some reason this collection really repairs the years of damage done to my strands. Giruad said she created this brand because what she wanted in a haircare line didn’t exist at the time, so she decided to make her own. If you look at the woman’s hair, you will understand why this was important to her (gorgeous hair from top to bottom). How an everyday haircare line can cut out so many other products for me and also make me happy and feel confident because my hair is stronger and shiny (and smells great) is not something that money can give me, but a product that actually works can. If you have thinning hair or want to save money on so many products and invest in a quality line, then check these out for yourself.